It's possibly another payback job, by comparing the pattern of what is happening, to Chinese explosion pattern...so this incident can be a result of the direct fight of 2 factions. Wow, Unity that's awful stuff. People are saying it felt like an earthquake. Spectra Energy is responding. The pipeline falls under the jurisdiction of the federal Pipeline and Hazardous Materials Safety Administration, which is sending personnel to the site, said state Public Utility Commission spokeswoman Robin Tilley. A PHMSA spokesman was not immediately available. The towering flames blew across Route 819, which is closed south of Route 22. Croft Road also is closed, a Westmoreland County 911 dispatcher said. Tiffany Pfeifer was putting away merchandise at a BP gas station at the intersection of Routes 22 and 819. “It just felt like an earthquake,” she said. She saw the fireball and yelled for her boss. Then she felt it. “It was so hot, you could just feel the heat coming,” Pfeifer said. Firefighters told them to turn off the gas pumps and evacuate. Salem Supervisor Ken Trumbetta had a bird's-eye view of the scene from the township building on a hilltop about a mile away. “We just heard a loud roar, then you heard a big bang,” he said. “We ran around the building right away” and saw flames in the sky. Township secretary Lynn Cain felt the building shake. About 2 miles north, Albert Hines was checking email at his home when he heard an incredible boom. “Just heard a loud explosion and the ground was shaking and the roar ... which didn't go away,” Hines said. He said he knew it had to be related to some type of gas release. Steward said relatives in Slickville, 5 miles away, called and said they felt the explosion. In 1989, when Texas Eastern replaced one of the two buried pipelines with a larger one, the company paid residents if they cut down any of their vegetation. This time, though, there will be no compensation. “This is just operation and maintenance. We’re clearing things that are not permitted to be on the right of way in the first place,” Henry Reese, Texas Eastern’s area supervisor, said Monday. Reese said the pipeline company is being forced to take a harder stand on what’s permitted in rights of way. Several high-profile gas pipeline explosions in recent years have driven the pressure to keep rights of way clear by the federal Pipeline and Hazardous Materials Safety Administration, he said. For example, a gas pipeline built in 1956 exploded in a residential area of San Bruno, California, in September 2010, killing eight, injuring 52 and destroying 38 homes. Defective welds were blamed. and here's a website with the graph of their pipelines. "An explosion has occurred at the Amoco BP Gas Plant in Jackson County, Mississippi, local News5 channel reports. Witnesses say the blast occurred around 11:40 pm local time and reported a large plume of fire rising from the area around the plant. There have been no reports of casualties so far. The blaze has since been brought under control. Police say that an evacuation has not been ordered. "At least 30 people were injured when an explosion and subsequent fire rocked an apartment building in a Washington DC suburb. Over 160 firefighters and emergency workers were deployed to tackle the blaze, which was being fueled by natural gas. The Montgomery County Fire and Rescue Service say that between five and seven residents are missing and the authorities are trying to find their identities. A total of 30 people have been taken to hospital, while three firefighters have been injured. The incident took place in Silver Spring, a suburb in the north of Washington DC. Emergency workers conducted “numerous rescues,” but their efforts were hampered by power lines and natural gas, which were fueling the fire, Montgomery County Fire and EMS spokesman Pete Piringer said. The first reports of the fire came in just before midnight local time (04:00GMT) "
As this happened in DC, it could be something to remember for later. A huge explosion apparently caused by a large cache of ammonia nitrate pellets and chlorine exploded in a second story apartment at the Flower Branch Apartment complex [map], located in Silver Spring Maryland. Maria Gonzales reported that she was on her way home to Baltimore, about three blocks away from the apartment when she heard a loud explosion followed by what she described as a “nose burning” smell of ammonia. “I had just left the party and was on my way home when I heard a loud explosion. The smell of ammonia was horrible-it burned my nose,” said Maria. The Washington Post reported that just after midnight on Wednesday, a massive explosion and fire leveled a Silver Spring apartment complex with a blast that could be felt a mile away, killing 2 people and injuring more than 30 people, including three firefighters, and forcing nearly 100 people from two buildings with some residents tossing their children from windows. Authorities reported no fatalities, but rescue crews Thursday were still seeking to account for five to seven residents of the two adjacent buildings at the Flower Branch Apartments on Piney Branch Road. Authorities said there were 14 units in each building. Goldstein said during a briefing around 6:20 a.m. that a K-9 team searching the rubble of the apartment complex had a “hit” in a particular location. Goldstein said it could indicate someone is trapped in the location. Terrorists Likely Responsible For Leveling Silver Spring MD Apartment ComplexMaria claims she believes the explosion may have been caused by some middle eastern men that her friends and her observed unloading a barrel of “pool chlorine” from a van outside the apartment building earlier in the evening. The most interesting report that has come from this incident is the observance of two Middle Eastern men unloading a barrel of pool chlorine pellets from a van and the overwhelming smell of ammonia that burned Maria’s nose. Chlorine and Ammonia is highly explosive when mixed together. A mixture of as little as ten pounds of ammonia and chlorine pellets would have definitely caused the magnitude of the reported explosion. Pipeline Explosion Kills 10 Campers in N.M.
Federal, state and local authorities are investigating the cause of Saturday’s natural gas pipeline explosion that killed five adults and five children and left two other people in critical condition in southeast New Mexico. The victims, members of two extended families, were camping early Saturday morning near the Pecos River, about 200 to 300 yards from the below-ground explosion. The two adult survivors were in critical condition in a Lubbock, Texas hospital. The 30-inch pipeline exploded around 5:30 a.m. Saturday, and left a crater about 86 feet long, 46 feet wide and 20 feet deep. Police say the resulting fire probably lasted 30 to 40 minutes. It reportedly was visible about 20 miles to the north in Carlsbad, N.M. Authorities said one end of the ruptured line became a virtual flame-thrower, showering fire on the victims camped beneath a bridge about 200 yards away. “The evidence out there at the scene indicates it was horrendously hot,” State Police Capt. John Balderston said. “It incinerated everything in its path. If it burned for as long as we think it burned, that explains the extensive damage to the vehicles and to the property and people. "A HUGE explosion in central Budapest has injured bystanders and triggered evacuations in the Hungarian capital. Scores of emergency vehicles rushed towards the loud blast, which left witnesses ears ringing and glass scattered across the streets. While the origin of the explosion remain unconfirmed by police local media have claimed the incident, which could be felt hundreds of meters away, was caused by a gas leak. Officials confirmed that two bystanders were injured in the explosion at 10.30pm local time – 9.30pm GMT – and were later taken to hospital. While their identities are currently unconfirmed, sources close to the incident claim the pair were police officers suffering from serious injuries. Initial reports have claimed the explosion took place on the ground floor of a shop. The scene has since been deemed safe by security officials, following a huge police presence at Teresa Boulevard in the Oktogon area following the blast." An explosion on Northwest 23rd and Glisan Street in Portland on Wednesday, Oct. 19, 2016. "PORTLAND, Ore. -- Three firefighters, three civilians and two police officers were injured in a natural gas explosion that completely destroyed a building at Northwest 23rd Avenue and Glisan Street in Portland Wednesday morning. Portland Fire & Rescue reported that there were no fatalities from the explosion. Portland Fire & Rescue Lt. Rich Chatman said none of the injuries to the firefighters is life-threatening. The most significant injury to a firefighter was a broken leg that required surgery. Another firefighter suffered a broken leg, but did not need surgery, Chatman said. The other firefighter's injuries were less severe. The person who died was an ex-JSDF member, aged 72 yo. As a busy traditional cultural event was on going with lots people just near by, everyone got shocked by the loud explosion noises, and more over, horrified to learn that the person who was reported to be dead was....really dead......he became just a complete charcoal, his body broken into bits and pieces. Initial reports the MSM in Japan released were unbelievably lame, skeletal 2 line reports, with absolutely no meat in it. I heard of the news about 30 minutes after the incident happened. I'm very proud of the Japanese netizens....they didn't let go of nothing about it!! They continuously gathered and relayed all the pics and other important info on the net wildly. Then it was the MSM got info from the posts then reported later, as they also checked their details, I guess. No meat. Shame on you. Well, one source declared that it was a part of the faction fights. Ummmmmmmmm......he refused to accept the ruling. So his accounts got frozen. He's writing that he would have to auction his home, too. ...........Yes it really sounds desperate. His death note was found under his foot. "Terribly sorry. I will repay this by my death." and his name, together with family problem stuff were written on the piece of paper. By the way (sorry this is getting a long post!!) I had to question if the said blog really belongs to the right person. A netizen questioned it, too, then someone responded back straight away with the actual address ((´×ω×`)all under the daylight!!) and searched who owns the place etc and found out it really was the guy so this is already proven that a correct info. There are others copped it from the blasts but still I feel sorry for the guy. A witness of his last moment said that he was facing down, sitting on a bench, and holding the explosives tightly. The next moment, the blast went from top down, wrecking the bench seat, ripped the guy's right leg off and blown it away from his body. It means....though he went out in the public place to carry the blasts out but in fact, he WAS trying NOT to harm anyone when he blasted the explosives. A human body is a great material to stop furthering the explosion. He used his own body as a shield for everyone else as he died. To carry out the "clean job", he scraped the explosive out of hell a lot of fireworks. Where he decided to die, there were around 15000 people enjoying traditional cultural fest. He must watched everyone enjoying their time, young and old together, from the edge of the park where he sat down by himself. 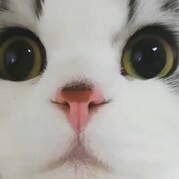 What did he feel at that time? His decision was already made then. The point of no return had hit already. It was cut off the road to live in a false charge ruling by the state. Is Dasa receivables foreclosure instruction, have been confiscated deposits. My home also, will apply to the auction. The state power, has been given the right of life giving and taking in the wrong decision. It Hodai you want you want unlimited-watering said in to say that it is not recorded. It was determined not to be the appropriate response ruling. Daughter states that do not know at all, is about the spirit of people with disabilities in the self-introduction in the mental health court council to implement the charge of the Utsunomiya home court events Rei Shinozaki Tochigi Prefecture in schizophrenia. Became desperation is ruling at the discretion of this Utsunomiya home court events, arbitration personnel. " WAS TIANJIN HIT BY HYPER-VELOCITY ‘ROD FROM GOD’ KINETIC ENERGY WEAPON? Yes it's from a year ago, but recall there was discussion about the "Rods of God" and T's thread "H marks the Spot"
"The post Tianjin Excuses, Explanations Aren’t Holding Water updates this initial article. The fireball Saturday in the port city of Tianjin, China, has several startling features. The resulting crater within fractured rock indicates it could have been hit by a hyper-velocity, kinetic-energy, heavy-metal-constructed weapon (without a warhead) dubbed the “rod from God.” It is doubtful that an explosive fireball of chemicals could create a massive crater like this. This crater is being reported as 400 meters wide, and 7.5 meters deep. The first blast registered 2.3 on the Richter scale and the second 2.9. Eyewitnesses described what felt like a quake. USGS geophysicist John Bellini says seismographs detect man-made explosions in quarries all the time, but usually surface explosions are not detected very well because most of their energy dissipates upward into the air. The fact is that the Tianjin explosions registered a seismographic event that had as much energy as a small earthquake. One can reasonably conclude that unlike a surface explosion of chemicals, this kinetic energy released underground was caused by a powerful penetration of the surface. “Rod from God’ technology has been in development for some time and prototypes could be available in the U.S. as well as other countries. Such weapons are not prohibited by the SALT II treaty and are treated as a conventional weapon that emits no radioactivity. With the target an industrial area full of chemicals, such as Tianjan, the “rod from God” could trigger massive secondary explosions. No explosive warhead is necessary as a Mach-10 heavy-metal rod impact is sufficient. It very hard to trace back or afterward. It is super stealthy and nearly impossible to spot or intercept. It can be precisely calibrated. The rod of God is like an arsonist match, with the chemicals on the site taking care of the rest. If the Chinese managed to find heavy metal fragments, the suspects can deny it and play dumb. Video follows of the closest person (accent is American) to film the fireballs. A second American (with rural mid-states accent) also had a front-row seat. These should be persons of interest to the Chinese." 7 dead and 94 injured. 2m X4m hole appeared after the explosion happened. The surrounding building got affected in radius of 500m or so. "Multiple workers were injured Monday afternoon when a large gas pipeline exploded in Shelby County, ABC 33/40 has learned. The Shelby County Sheriff's Office said eight to nine workers were injured in the blast. A UAB Hospital spokesperson said shortly after 5 p.m. that four victims had already arrived and two more were en route. Details about their conditions weren't immediately made available." snip pictures and photo gallery at link Colonial line again, same as before, carries petroleum to the East Coast. A mine in West of Chungking, China. 31st Oct 2016, about 11:30am. Out of 35 who were there, 2 are found fine. 33 unknown if dead or alive. Cause of the explosion unknown. You can see the local news footage via this page. "The northern Russian port city of Murmansk, with a population of 300,000, has been partly left without electricity following an emergency at an energy facility. Eyewitnesses captured a bright flash, after which the lights went out. There have been eyewitnesses' reports of a "huge blast" at one of the city's electrical substations, according to SeverPost news agency. Emergency services are working at the scene, the agency said, adding that there have so far been no official comments from rescue teams. There is apparently no electricity in government headquarters in the city center, FlashNord reported citing its correspondent in the area. Lights have been off in both central areas and in the outskirts, according to SeverPost. An incident happened at one of the facilities of the Kolenergo regional energy company, its press service told RT, without specifying what exactly happened. The causes of the "incident" are now being investigated by a special commission, the company said, adding that specialists are now working on damage control and recovery." "KANSAS CITY, Mo. 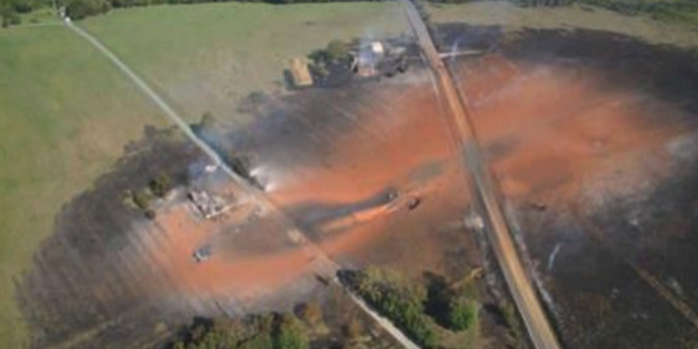 - Fire crews responded to a large pipeline explosion in Platte County Tuesday evening. Flames were visible from I-29 and Northwest 112th Street. The line was carrying liquid propane and was buried under a field. It's owned by Louisiana-based Enterprise Products Partners. Thousands of people are believed to have spotted the massive flames. Many who saw it, described the blaze that let up the sky. "It was the biggest fire I'd ever seen," said Kevin Everett. and they wonder why the Rock Sioux Reservation doesn't want the Dakota pipeline. "An explosion has rocked a building in central Paris today causing it to partially collapse and leaving numerous casualties, Paris firefighters said. It is believed the cause of the blast, which occurred at 9.52am UK time, may have been a gas explosion. The building is on the Rue d'Uzes, close to the Paris Stock Exchange building and the headquarters of Agence France-Presse, in the second arondissement. Around 140 firefighters were on the scene to help free victims from the building, which contained offices for businesses including lawyers, accountants and telecommunications firms. A state of red alert for the emergency services has been declared. A massive gas explosion in South Texas rocked the town of Refugio, with communities as far as 60 miles away feeling the shakes from the blast. Flames could be seen more than 100 miles away, KHOU reports. State Troopers say so far there are no reports of injuries or serious damage. The fire is now under control. "TORRANCE, Calif. (KABC) -- The Torrance Police Department issued an alert for the city, notifying them that the Torrance ExxonMobil Refinery had an explosion and fire early Saturday morning. 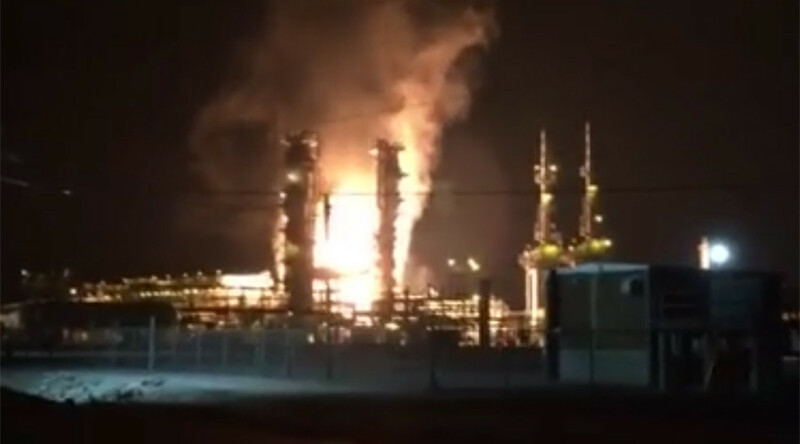 Authorities said the incident happened around 6 a.m. and 36 firefighters responded to the refinery. Fire crews knocked down the blaze within 30 minutes. It was unclear what caused the fire. 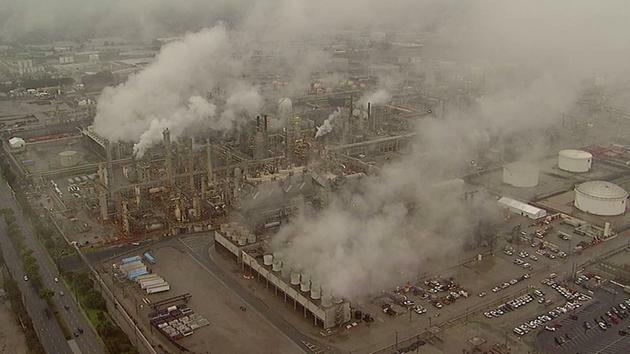 All safety systems at the refinery operated correctly and personnel were safe, police said. No injuries were reported, and the fire did not impact anything offsite. The fire was reported to the South Coast Air Quality Management District and California Office of Emergency Services, police said. A protest is planned at the refinery later in the afternoon on the 2-year anniversary of an explosion at the plant that left two people injured. The explosion also launched an 80,000-pound piece of equipment within feet of a structure that housed a highly volatile and toxic substance, modified hydrofluoric acid." The incident happened on late Wednesday evening when a large blast occurred at the Didion Milling ethanol plant on Williams Street in Cambria. Only few details were immediately available. According to initial reports, multiple people have been injured and a number of people remain unaccounted-for. It was not immediately known how many people had been injured, though their injuries have been described as burn injuries. The response has been upgraded to 4 alarm. We’re working to gather more information.